New Zealand seabird experts met with a group from Japan to share information on seabird mitigation and bycatch in November. 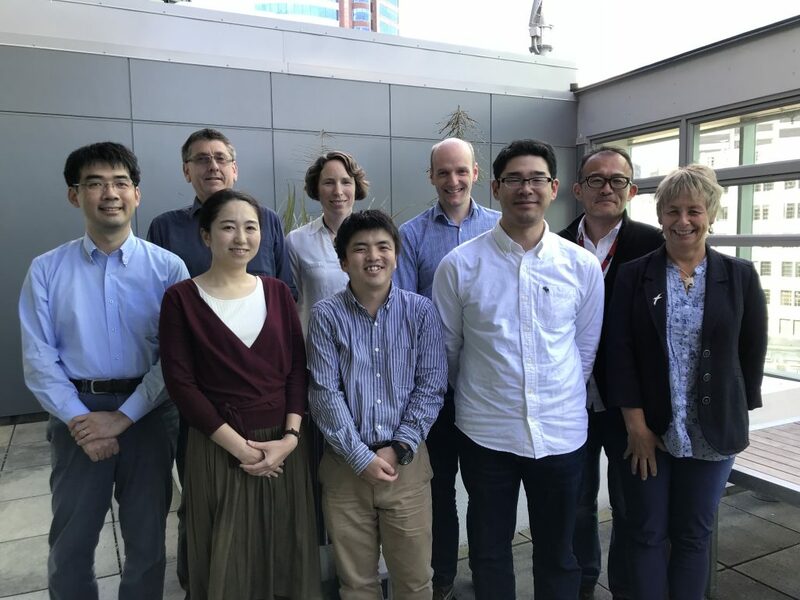 Five scientists from Japan's National Research Institute for Far Seas Fisheries met with various people closely involved in seabird incidental capture management. The consortium included government, industry, researchers, and BirdLife International. Richard Wells, who undertakes seabird mitigation work for a number of industry and Government bodies, was attending and said it was positive to see other countries taking steps forward in reducing risk. "We were able to pass along knowledge from what we have learned by implementing the use of tori lines through a variety of DOC and industry projects," Wells said. Tori lines are brightly coloured streamers, and provide a physical and visual barrier deterring birds from getting too close to baited hooks or trawl cables. “By collaborating we can provide more emphasis on seabird mitigation technology use and continue to reduce risk,” Wells said. Department of Conservation science advisor Igor Debski said encouraging a global approach to reducing threats to seabirds, such as bycatch, ensures the conservation of vulnerable species. “Many of our seabirds, including some of the most threatened species such as the nationally critical Antipodean albatross, forage widely and can face risks from fisheries bycatch or other threats in areas well outside the New Zealand EEZ,” Debski said. The Japanese group also spent time on a tuna surface long liner to better understand tori line design and deployment from small vessels.